I am trying hard not to be faithful. I am trying to keep my options open. I fall in love too easily. When I find someone I like I am all in right away, head down at the archives, taking notes for a biography. I need to learn a thing or two from the legendary Lost Generation hedonist Harry Crosby, who knew how to love many people at once. 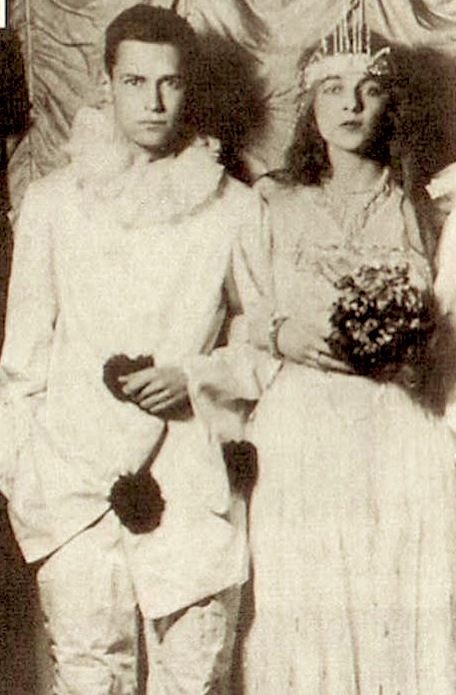 He claimed to be in love simultaneously with his wife Caresse (née Polly); his mistress Constance Coolidge, the Comtesse de Jumilhac; his cousin Nina Crosby, the Marquise de Polignac; his Russian portraitist, Polia Chentoff; his young girlfriend Josephine Rotch (Mrs. Albert Bigelow); and Jacqueline, an imaginary manifestation of his desire, in whom he believed so fervently that he left her a large bequest in his will. Not included on his list of loves were the countless women he picked up and made love to for a day, a night, or a week, like the Lady of the White Polo Coat, the Tigress, Helen of Troy, and many others whose pseudonyms appeared briefly on the pages of his diary. As for me, I am about as single-focused as Crosby was promiscuous. I started living with Le Rosbif after our first date, when I was nineteen, nineteen years ago. The same perverse tendency has governed my creative life. I realized that I wanted to be a historian when I was twenty-one, and I’ve never questioned that choice since. I decided to write a book about Charity and Sylvia after reading one letter about them, and I remained unswervingly committed to the project for the next decade. Only now that Charity and Sylvia is published am I trying, for the first time, to play the field. Each time I’ve fallen in love this year, I’ve wrenched myself away from the object of my devotion and forced myself to go on the prowl again. I’ve fallen in love with Isadora Duncan, and in love/hate with her brother Raymond; I’ve been seduced by Norman Douglas, throwing over a perfectly serviceable plan to focus my research on Paris so that I could continue learning about this honorary citizen of Capri; I’ve cried over Thelma Wood, who didn’t leave enough sources behind to support a biography; I’ve crushed out on Kay Boyle and John Glassco and M.F.K. 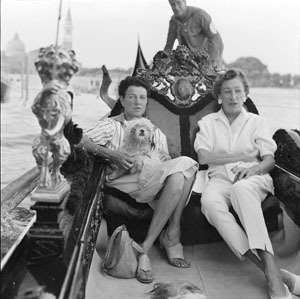 Fisher and Julia Child, and if Elizabeth Robins Pennell hadn’t been an anti-semite, I would have crushed out on her too. The hardest temptation to resist has been the siren song of the Lost Generation. I keep having to slap myself to resist succumbing to this most embarrassing of all crushes. So cliché. Every time I read a Lost Generation memoir I have to tie myself to the mast to keep myself from plunging into those overcrowded waters. That siren song has been playing at top volume in my head since I finished reading Geoffrey Wolff’s fabulous biography of Harry Crosby yesterday. 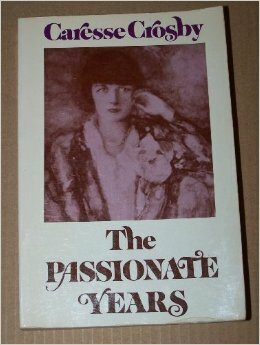 I want to plunge right into Harry’s published diaries, Shadows of the Sun, then read Caresse’s memoir The Passionate Years, and finally hurry off to Carbondale, Illinois, where both Harry’s and Caresse’s papers are archived at Southern Illinois University. In fact, I am more drawn to Caresse than to Harry. Harry Crosby’s promiscuity resembles the promiscuity of countless privileged men (he was the nephew of J. P. Morgan) before him, just writ large. Caresse’s transgressions are more interesting to me, they represent a more radical break from the confines of appropriate behaviour for women of her class. Caresse’s life tells a new story, of American women’s emerging opportunities for sexual adventure at the turn of the century. The story begins, of course, with Caresse’s re-invention of the bra. Born in New York in 1891, Mary Phelps Jacob – called Polly by her family – grew up in a socially prominent family, and fulfilled their expectations by marrying into a leading Boston family, the Peabodys, when she was in her early twenties. But her desire for a less straight-jacketed existence could not be denied. In 1910 she cast aside the restrictive corsets worn by women of her generation in exchange for a self-designed brassiere that allowed far greater freedom of movement. Purportedly, her desire to wear an unusually revealing dress inspired her design. 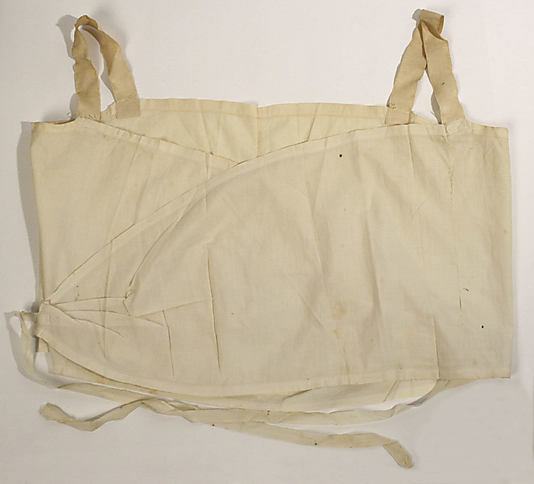 Although she was not the first to invent the bra, she was the first American woman to patent her invention, and she launched a business to manufacture and sell her products. Polly’s decision, a decade later, to end her respectable but unhappy marriage and enter into a passionate affair with an alcoholic, hell-raising, World-War I vet six years younger than herself named Harry Crosby is consistent with this earlier episode of self-liberation. Unfortunately, it proved a lot less popular. In 1922, Polly and Harry took off for Paris to escape the rebuke of proper society. Though they returned for frequent visits to the United States over the next seven years, they made their lives in Paris. And what lives they lived. They consumed life, life, and more life. As Wolff wrote of Harry, “excess was the only measure he knew. When he ate, he ate oysters, and when he drank, he drank champagne, and too much of both.” Actually, they consumed a lot more than oysters and champagne. During raucous nights out they had “oysters and caviar, champagne and whiskey, cocaine and dancing.” Harry smoked opium every day. Both took lovers. Polly – now renamed Caresse by Harry (they almost went with Clytoris) – enjoyed her share of European aristocrats. Their sexual adventures included threesomes, foursomes, and moresomes. They invited other free-loving couples to join them for baths in the massive sunken marble tub in their rented apartment at 19 rue de Lille, on the Left Bank. They liked to host dinner parties from bed, serving champagne, caviar, oysters, and – for an American touch – a side of corn bread or chowder. They socialized with writers and artists, wrote reams of ghastly poetry, and founded one of the leading Modernist presses of the 1920s. When Paris became dull they leased a weekend house on the property of the Comte Armand de la Rochefoucauld (one of Caresse’s lovers), where they threw wild parties attended by characters as diverse as Salvador Dali (a friend of Caresse’s), Douglas Fairbanks, and Eva Braun – in her pre-Hitler days. When city and country became dull they went on trips to Egypt, St. Moritz, Italy, Spain (Pamplona with Hemingway), Vienna, Turkey, Jerusalem, and back to New York. 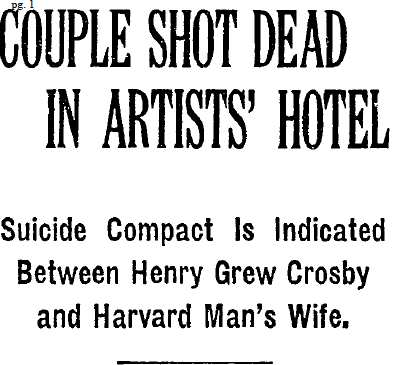 It was back in New York, on a 1929 visit, that Harry finally acted on a long held suicide wish, shooting himself and his girlfriend Josephine in the head. No one can say he didn’t get a lot of living in before the end. (Sadly, the same can not be said for twenty-two year old Josephine). I don’t predict rivalling Caresse or Peggy for lovers in this lifetime. But I am trying to take lessons from them, and from Harry, as a historian. Instead of committing to just one subject or couple for my next book, I want to spread the love around. I want to write about the whole voracious crew of characters whose stories are appearing on this blog. I just have to keep myself from becoming too emotionally attached to any damn one of them. You know, Hope, perhaps I am hopelessly blinded by my narrow petit bourgeois morality, but all of my own life experience tells me that these must have been desperately unhappy people, whatever romantic gloss they and their circle tried to impose on their shallow and selfish lives. Stick with Le Rosbif, both literally and metaphorically. Agreed. Kay Boyle called Harry a “very cruel and heartlessly self-centered man” who victimized his wife. I find Caresse a more sympathetic character, but I’m glad not to walk her path. it’s all about Carbondale. so looking forward to that trip. Linda Hamalian’s book on Caresse puts the Crosby marriage in a different light–many jealous fights and neglect of C’s children. Where did you found the reference of Caresse having had an affair with Henri Cartier-Bresson? Try Assouline’s biography of Cartier-Bresson, 40-41.